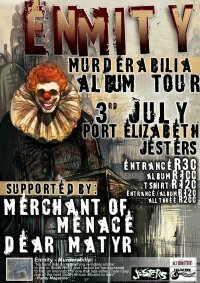 enmity: Murderabilia Album Launch Tour. Cape Town, Joburg, Port Elizabeth, Graham's Town, East London, Durban. Hope to see you wonderful creatures at some point on our adventures!